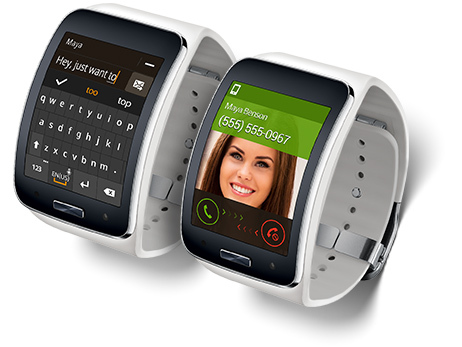 Samsung Gear S Smartwatch : This smartwatch keeps you in touch when you don't have a smartphone on you. Run out for coffee without missing a call, check your e-mail from the walking trail, or search for directions right from your wrist. 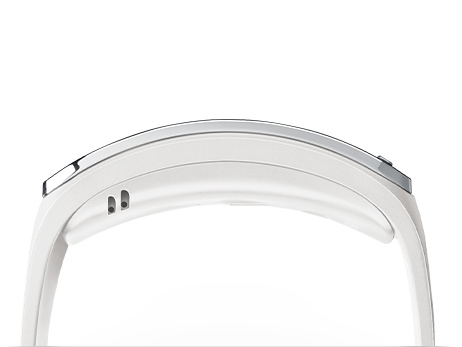 Introducing Samsung’s first network-connected wearable. ** So now you can make and answer calls when your phone isn’t nearby. You can also check texts, emails, updates— even stream and listen to music, right from your wrist. 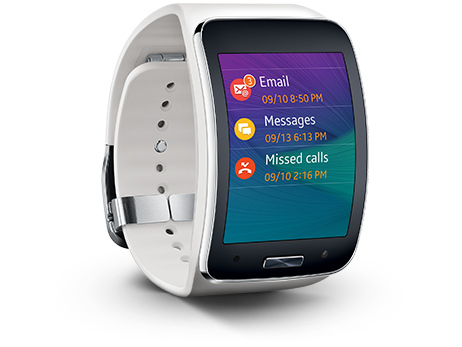 The new Samsung Gear S™ features a brilliant, two-inch curved Super AMOLED® display that contours perfectly to your wrist and makes it easy to see all your rich notifications and information. Stay connected to the apps and content that matter most. Now you can map your run, track your steps, monitor your heart rate, count calories burned and get vital health information over time. ** Exercise apps like S Health™ and Nike+Running and MapMyRun are designed to help you track your workout progress. 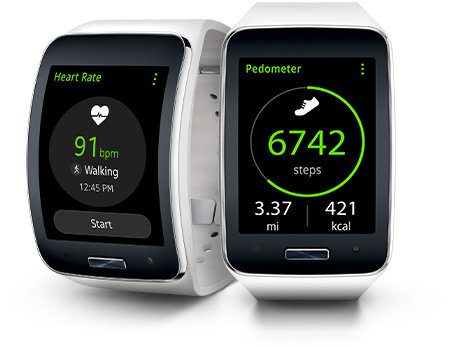 The Gear S is packed with innovation designed to push your limits and track your success. 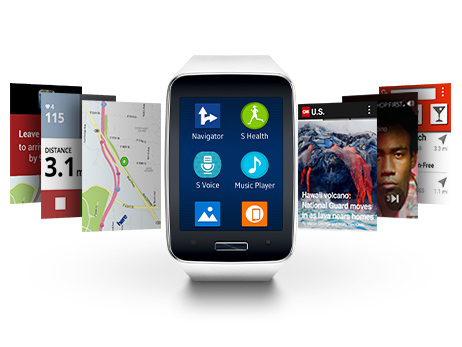 The Gear S doesn’t just push notifications, it pulls you in. From scrolling through the “likes” on your latest Facebook post to getting score updates on the big game, alerts from your smartphone look better than ever. You’ll get a handful of great apps out of the box, plus plenty more to download. Enjoy preloaded apps like Milk Music™, which lets you stream music directly to your Gear S, and HERE Maps, which gives navigation when you need it. And visit Samsung GALAXY Apps to discover new apps like TripCase and INRIX®, and find your favorites like CNN and Yelp.